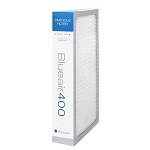 Blueair 203/303 Particle filter is the ideal choice for allergy sufferers and other health-conscious individuals that need high-efficiency particle removal. 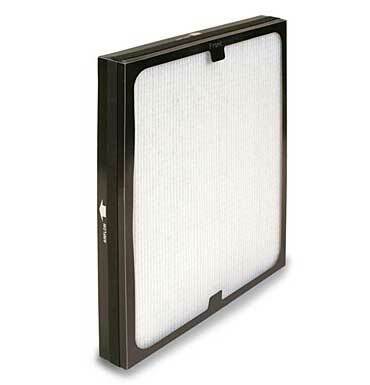 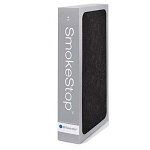 The unit contains one polypropylene 3-stage progressive filter that contains millions of ultra-thin fibers with each state trapping progessively smaller harmful particles as they pass through the pleats. 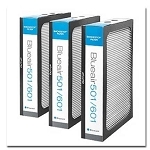 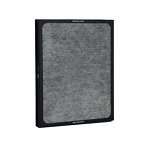 The Blueair 3-stage progressive filter effectively removes every type of particulate air pollutants, including allergens, pollen, mold spores, dust, pet dander, bacteria, and viruses. 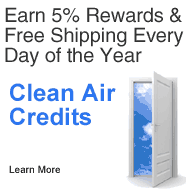 50 Clean Air Credits will be rewarded to you when you buy this item.